Is your PPC campaign successful? Following up the introduction post for PPC, we are going to discuss one of the most important factors: Measuring the effectiveness of the PPC campaign. In this article we will examine briefly the Keyword Quality Score and some ways to Track, Monitor and Control your Campaigns. One important factor of Ad performance is the Quality Score of the selected keywords. Quality Score measures how relevant your keyword is to the text ads, to the content of the target page and to the search query. 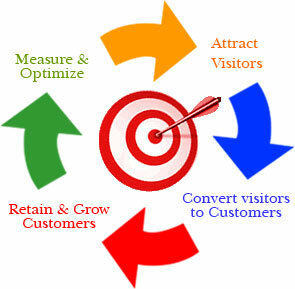 Keeping your quality score high helps you to lower your Cost Per Click (CPC) and achieve better placement. Remember that a PPC campaign is based on the keywords you select. You can check anytime your quality score by selecting “Show Quality Score” from the drop down menu of your Adwords Account Interface. Either you run a PPC campaign on your own or you hired a PPC agency make sure that you regularly monitor the progress of the campaign and the proper metrics. In this way you will be able to calculate the costs vs the profits. For this process you’re going to need conversion trackers that help you find exactly how many of the paid clicks return conversions (purchases, bookings, registrations etc). At first you have to define what your conversion goal is and then calculate the cost. For example if you consider as conversion goal the registration to a newsletter, you need to calculate the cost of 1 registration that comes from the campaign. Read more details about the conversion tracker. This quote is hiding a danger: not all metrics/ratios are useful. For example let’s assume that you monitor a campaign where your goal is to sell t-shirts. From the beginning of the campaign you noticed a 60% increase on the web traffic. Is this success? Don’t be sure. When you pay lots of money you don’t expect traffic but conversions. The conversion rate will show you which of the keywords are working for you. According to the above, the keyword “t-shirt stores” had 1000 impressions (displayed 1000 times), the cost per click was $1 and it returned 23 conversions. On the other hand, the second keyword “t-shirts for djs” had also 1000 impressions and the cost per click was $2. Additionally we can see that it had a lower number of clicks but much more conversions compared to the cheaper keyword. Keep in mind that you must always select the correct keywords, regularly check the metrics of your PPC and optimize your strategy when needed.